I have an HC-SR04 ultrasound sensor attached. It uses solely pin15, for both trig and echo. I am able to use Microsoft MakeCode 'block editor' to get a reading ( ) but am unable to find a working solution for MicroPython. 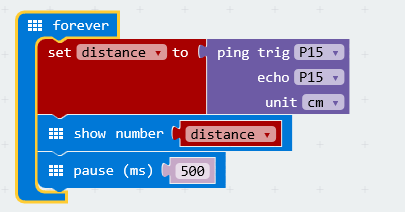 The closest I've found is this one on GitHub (below), but I just keep getting error message of '-11' scrolling across the Microbit's LED Matrix. I've checked for error code -11 but nothing exists. Browse other questions tagged python ultrasonic-sensors or ask your own question. What are some pitfalls of an ultrasonic sensor?